On June 1-2, 2013, Metropolitan Nicholas visited the community of Holy Trinity Church in Carmel, Indiana. The parish has been without a permanent priest since the assignment of Fr. Anastasios Gounaris to the Holy Trinity Archdiocesan Cathedral last June. In view of this absence of a full-time clergyman to the Carmel community, our Metropolis Chancellor, Father Bill Bartz, had agreed to fill the Holy Trinity Church vacancy for a 3 month term of service in order to bring some stability and continuity to the parish during the Lenten and Paschal season. 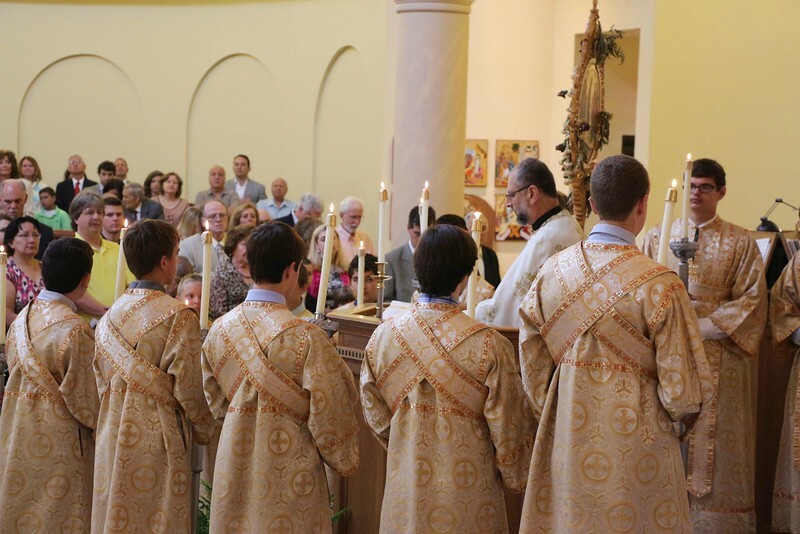 On Sunday, June 2nd, at the conclusion of the Hierarchical Divine Liturgy at the Carmel parish, Father Bill Bartz accepted the appointment as the permanent full-time Proistamenos of the parish. As Father Bartz publicly affirmed his acceptance of this position, the entire congregation rose in applause.